A few things found in DE. Like I’ve said in previous posts, I basically travel for a living. 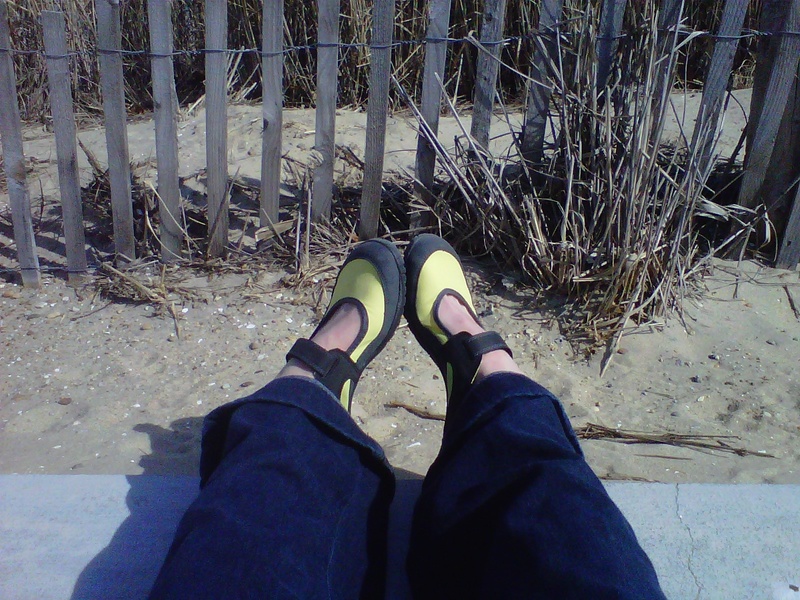 This past week I was in Rehoboth Beach, Delaware. This was as far east as I’ve ever been in Delaware and had been excited about heading that direction all week. Because it’s February and off-season in a beach town, hotel rooms on the beach are super duper cheap—so I took full advantage! Arriving early evening on Wednesday, I took myself for a drive along the coast and around the town, I got a little lost and found myself and finally checked into The Breakers Hotel and took a stroll around Rehoboth beach on foot. Of course I’d done research and knew that Dogfish Head Brewpub was stumbling…I mean walking distance from my hotel. I had made plans to meet friends the following evening at the brewery for a tour and tasting session. 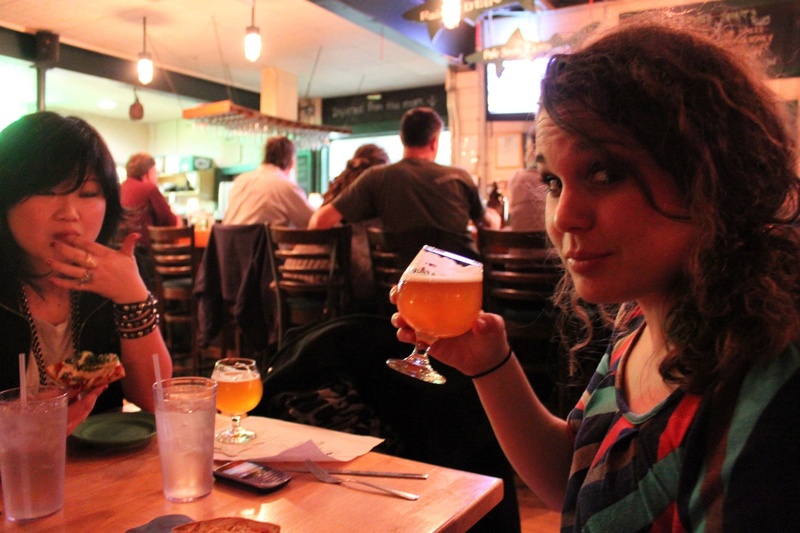 But the Brewpub serves local beer, local food and local charm. My first dinner at a bar—alone. I ordered a 90 minute IPA and a club sandwich and looked around, trying to appear less awkward than I felt. I pulled out my book, (Going Long: The Best Stories from Runner\’s World) and pretended to read. Sip. Glance around. Sip. Sip. Food. My new distraction! The bar wasn’t busy, but busy enough to people watch, read every sign hanging on the walls and enjoy every bite of my meal. The next thing I know a man in his 50’s sits two stools down from my and asked me about my book, asks me if I’ve read Born to Run (uhh, duh, yes!) This led to another beer and more conversation about running, training, life on the road, dinners alone, more running and finally the exchange of cards and the promise to keep in touch and maybe get a run in in the future if our traveling lives pass again on the road. Successful solo dinner! The next day I woke to a 50-degree morning, sunny with a slight wind off the ocean. I took off with no other idea than the one that I needed to run for about 50 minutes. I ran down Second St, where the road wound through neighborhoods, across a couple bridges and into Dewy Beach. The storefronts abandoned in October when the tourist left, neon signs flash vacancy, or signs taped to the door reading Thanks for a great season! See you in March! A ghost town on the beach. Retracing my steps, I turn right after the last bridge to get closer to the water. I’d heard that there was a mile long boardwalk: wooden planks AKA: my favorite running surface of all time! The next mile I looked and listened to the waves, heard every footfall on the wood below me and felt a soft, oddly warm February breeze on my face. Bliss. I’d found, great conversation, great beer, a great run and bliss in Delaware. I love your quotes!! Your stories are great!! Combining running, writing and a job to earn a living couldn’t be better. So glad you are sharing it.